Courtesy of the kind generosity of Mark Jahsan (and sat on for far too long - thanks for the reminder Mark!) 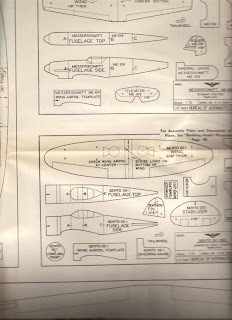 comes a fabulous wartime survivor of instructions and plans for building recognition models of aircraft. 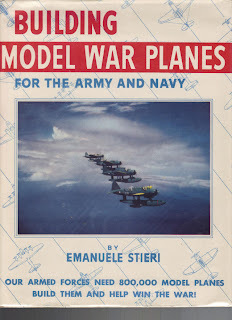 'Building Model War Planes for the Army and Navy' by one Emanuele Stieri contains a fascinating collection of Japanese aircraft too. 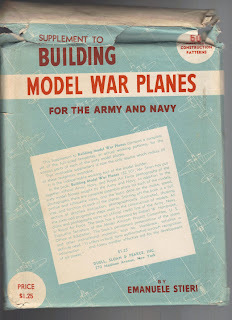 Mr Stieri appears to have been the prolific author of various hobby, woodworking and home improvement books and was the founder in 1933 of what was to become Carstens Publications Inc., which still publishes three monthly magazines: 'Railroad Model Crafstman', 'Flying Models', and 'Railfan & Railroad' as well as soft and hard cover books primarily in the model hobby and railroad fields. The ownership of the company passed to Charles A. Penn, formerly with Bernarr MacFadden’s publishing empire, in 1934. Hal Carstens (1925-2009) became a major figure in model railroad hobbies in the USA. 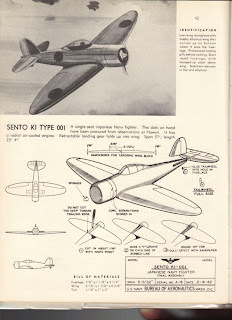 Being of a certain age I like and admire aeroplane models that focus on the aerodynamic shape of the originals, rather than on details and techniques. So these simple recognition models have a great appeal, warts and all. 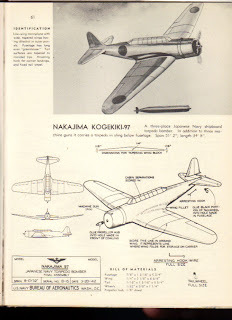 They would probably be considered very plain fare these days and in sharp contrast to the plastic kits now being manufactured in Japan and China, but building them now to display them in their pure historical context would still be a lot of fun. They pretty much speak for themselves - so I'll let them. And I'll feature more from this interesting collection over the next week or so. 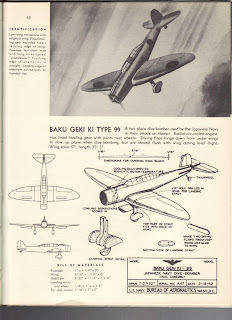 Any additional comments and contributions about wartime recognition documents and models of Japanese aircraft would be welcome. Thanks for sharing this. Like I said in my previous post, part of the cameraderie is the sharing and learning. Don't just want to take, I'd like to contribute a little too!